﻿ The Shri Ram School (TSRS) | Cyber Safety Workshop (By Mr. Rakshit Tandon) held at The Shri Ram School, Vasant Vihar on Wednesday, 4th May, 2016. Cyber Safety Workshop (By Mr. Rakshit Tandon) held at The Shri Ram School, Vasant Vihar on Wednesday, 4th May, 2016. 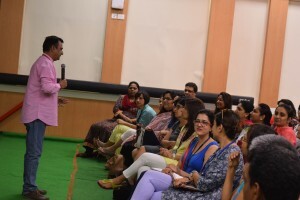 The Cyber Safety Workshop for parents of classes III – V was held at the Vasant Vihar campus on 4th May, 2016. 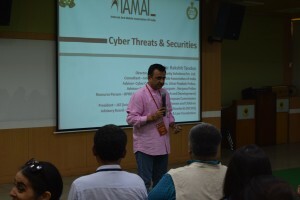 This ‘need of the hour’ workshop was conducted by Mr. Rakshit Tandon, a Cyber Safety Expert, working as Consultant – Internet & Mobile Association of India. He is also an Advisor to Cyber Complaint Redressal Cell, U.P. Police, Agra and Haryana Police, Gurgaon. The session was not only gripping and interesting but also extremely informative. Mr. Tandon gave very helpful tips about how we can use the right settings in various apps to keep our personal information safe. Some very valid and nice parenting tips were also shared by him. It proved to be an eye opener for many in the audience!